At XTHERAPY, we believe in our mantra…. WE CAN, WE WILL, WE ARE ENOUGH. And we also believe in having a friggen good time. 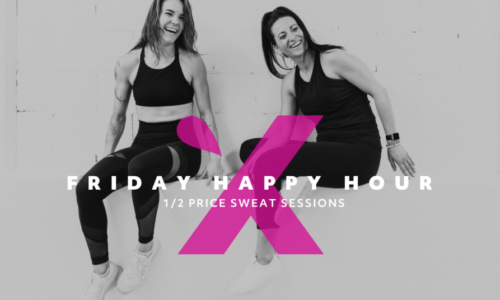 Sweat it out for a $10.50 drop-in sweat session to get your weekend started – and we may or may not have a few bubbles here at the studio after class to help get your weekend started.